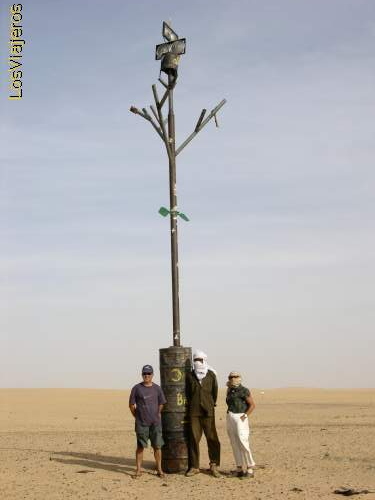 Tenere Desert Tree -Niger: The New Tree of the Tenere is an important referencial for the caravans of camels. This metallic tree substituted a centennial acacia on which a truck driver shattered his truck and whose remains are exposed in the museum of Niamey. Nomadas de la tribu bororo Abalak (sahel) Nomadic Bororo Abalak (sahel) "Index"